In a few recent church prayer meetings my Pastor has been leading us in devotions from Isaiah 62. I have been struck afresh by the language that is used in verse 6, that we are to give God “no rest” until He establishes Jerusalem and makes it a praise in the earth. Did you catch that? Did the Bible really just tell weak minuscule creatures like us to give the omnipotent Creator God no rest until he acts? Have you ever been struck by the unexpected and radical nature of that command? It it really appropriate to use that sort of language, or should we not follow this example? Is it right to actively pursue the blessing of God through prayer or should be just passively acknowledge his sovereignty? Is it ok to reason with God, indeed to present arguments to Him, or is that a horrendously inappropriate way for the creature to approach the Creator? I believe God not only allows, He actually commands argumentative prayers. Let’s look at five aspects of the blessing of argumentative prayer. 1. There is a vast difference between arguing to, and arguing with God. Arguing with God is a sin. We have no right to bicker with the Lord Sabaoth. That’s a recipe for rebuke, and not something I would ever argue for the blessings of. In fact, when you consider who He is and who we are… it’s basically an illustration of the insanity of sin to argue with God. But arguing to God is a whole different matter. I’m not talking about the ways we foster bitterness against the Lord for what he has done, or that arrogant mindset that believes we would have done better than He. That sort of argumentativeness, like all sin, should be put on sanctification death-row and briskly executed. But there is a way of arguing without being sinfully argumentative. What I mean is this: we not only may, but actually ought to offer careful arguments to God when we seek his power and blessing upon our lives and gospel labors. The Redeemer would have us give Him reasons in our prayers. With this crucial distinction in mind, we can move on to the next point. 2. The Bible is full of examples of saints offering argumentative prayers. We’ve already seen that Isaiah 62 tells us to give the Lord “no rest” until he acts. This is vividly illustrated in a historic event when we look at Genesis 32 and see Jacob wrestling with God throughout the night, unwilling to give him “rest” until he receives the blessing. But for the most frequent example, we must look to the Psalms. The Psalms are refreshingly uncensored. Here we find the words to express the totality of the human experience in all of its many aspects- expressions of comfort, but also confusion and pain. Soaring language about hope and deliverance, but also the frequent expression of real fear. Joy poured out in tears, but also the stinging tears of sorrow. Assurance and doubt exists in the Psalms side by side like an old married couple on a city park bench. The Psalms are all about the honest and uncensored living of life in a fallen world before the face of God Almighty. They express the full breadth of the human condition but they never express it in a vacuum, and never unto itself. The Psalms express the redeemed human condition in the context of life lived in the presence of the Redeemer. They are therefore perhaps the richest of all teachers in the school of Christian prayer. There is no shortage of Psalms available to illustrate the point of this post, but I’ll just look at one. Let the reader amend their own examples as they so wish. Much could be said concerning these verses, but for our purposes it is sufficient to see that we are dealing with a man in deep distress. He says “How long,” expressing that he has either been in his distressing situation for quite some time, or it is of such an intensity that we cannot long endure it, or some combination thereof. He has turned inward in terror, is full of sorrow, and is forced to see his enemies lifted up around him. So in the next two verses his prayer goes from lament to supplication. And he argues. This is just one example of what we see again and again in the prayers of the Biblical saints. More could be explored, but this is a blog and not a book. Suffice to say, there is a holy sort of argument that can and should be offered to God, not so much because of what it does for Him, but rather because of what it does for us. More on that to follow. 3. The God who ordains the ends has also ordained the means. There is more to say on Psalm 13 related to our topic, but at this point we have to pause and ask a question. Why would God command this sort of prayer? Why would the God who is for example, completely sovereign over the salvation of men according to Romans 9 say in Luke 10 …the harvest is plentiful, but the laborers are few. Therefore pray earnestly to the Lord of the harvest to send out laborers into his harvest…? Yet as we consider the specific question of offering reasoned arguments to God in prayer, we still need more guidance. On what basis can we possibly offer and argument to God, pleading with Him to act? 4. The only basis upon which to reason to God are his own divine promises. On what possible basis does a mere man reason with God? There is only one good, biblical answer to that question. That answer is that we only reason with the Lord on the basis of the Lord’s own promises. When begging the Lord to consider something, the only place we can point to is the very words of the Lord himself. Are there any among the false gods of the nations that can bring rain? for you do all these things (Jeremiah 14:20-22). Notice the specific arguments- Lord, is there any other? Lord, are you not the only one who can deliver us from our current trouble? Are you not he, O Lord our God? 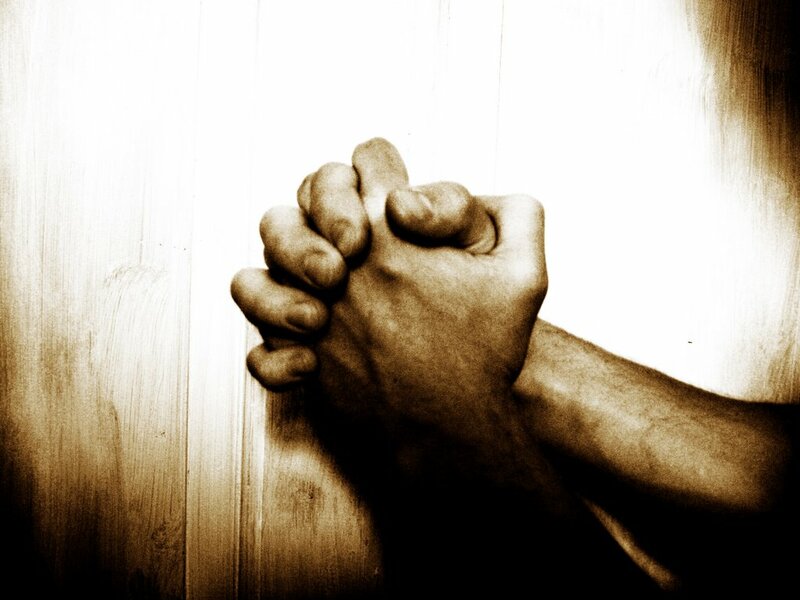 The beauty of argumentative prayer is that it reminds us of the rock solid promises of God. It forces God’s people to consider His character, to rehearse out loud the various covenantal oaths he has sworn to uphold. Ultimately, although God certainly makes use of the means of prayer in accomplishing his will, this is for us and not for Him. 5. The only attitude to take in such prayers is utter humility and astounded wonder. The first reaction to argumentative prayer might be to think that it is arrogant and bitter. But in both theses cases we see that it is couched in utter humility and astounded wonder. So can we pray this way today? The answer is simple: we must. We must pray with urgency and zeal, we must plead the very promises of God back to Him. We must argue to God in prayer, unto His own glory. We must argue that the salvation of souls will magnify his name in all the earth. We must argue that he has sworn merciful promises to us in His New Covenant. He not only allows this, I believe He desires it. Because when we argue to God on the basis of His own promises, and in the interest of His own glory, it is an argument He always wins.